Play Lab Northwest is part of my psychotherapy practice. It is housed in a separate room and affords the space and equipment for children and teens (ages 6-16) to find personal expression and creative outlet. 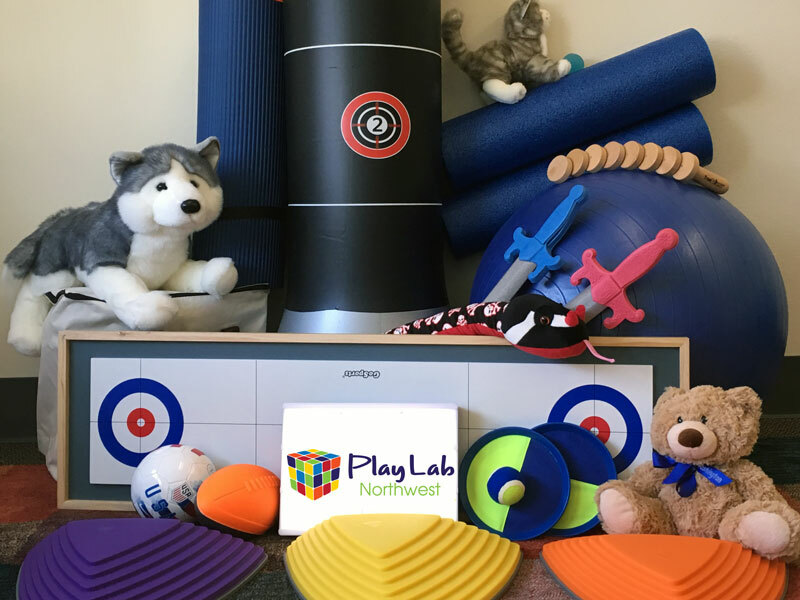 Play Lab Northwest is equipped with exercise balls and mats, large-scale games, a Jungian sand tray and figures, art supplies, and sensorimotor equipment—all of which help the client achieve emotional regulation in a safe and supportive environment. The Play Lab also provides a Quite Corner for mindfulness and other calming practices appropriate for younger clients. Through the Play Lab approach, I integrate established therapeutic approaches such as somatic, art and play, relational, and mindfulness-based stress reduction. The Play Lab approach is designed specifically for children and teens that suffer from anxiety, panic, ADHD, and depression. Unlike many conventional therapies, the Play Lab approach does not rely exclusively on talk or other cognitive strategies. Through play and interaction, children and teens can experience self-discovery while learning to regulate unneeded emotional or energetic swings. By working with the mind and body together through play and imagination, children and teens can build confidence and personal resilience.